Facilities: USP Big Sandy and an adjacent minimum security satellite prison camp. 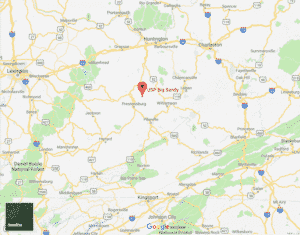 Location: USP Big Sandy is located in eastern Kentucky, 133 miles from Frankfort. Background: USP Big Sandy opened in 2003. It is known for housing high-profile inmates. Since many inmates are sent to Big Sandy because they have been convicted of violent crimes and are now serving long sentences, the prison has experienced numerous violent incidents. Notable inmates include Roy Belfast, Jr. (serving a 97-year sentence for acts of torture on political and military opponents in Liberia) and former acting boss of the Bonanno crime family Vincent Basciano (serving two life sentences for murder, conspiracy, and racketeering). Housing: USP Big Sandy is comprised of one and two-person cells. The camp has dormitory housing. Health Services: Sick call, dental call, emergency medical care, medications, physical examinations, immunizations, TB screening, and dental care are available to inmates. Emergency case is available 24 hours a day. Psychology Services: USP Big Sandy offers individual counseling, group therapy, and a self-help library. The Challenge program is available for inmates as well, to address the psychological, cognitive, and behavioral health factors that may hinder an inmate’s ability to live life as a responsible citizen. All inmates can attend classes in anger management, criminal thinking, stress management, impact of crime on victims, values, and more. Various psychological services and psychiatric treatments are also available. Residential Drug Abuse Program (RDAP): USP Big Sandy houses a Residential Drug Abuse Program (RDAP). Groups are also offered for Alcoholics Anonymous (AA), Narcotics Anonymous (NA), and Drug Education Classes. The Non-Residential Drug Abuse Program (NR-DAP) is also available. Education Services: USP Big Sandy offers offers GED instruction and the English-as-a-Second Language (ESL) program. Classes are separated into Advanced GED, GED, pre-GED, and Special Learning Needs levels. A parenting program is also available. High school diplomas and post-secondary programs are available through paid correspondence programs. Advanced Occupational Education: USP Big Sandy offers advanced occupational education in Data Entry, Major Appliance Repair, and Receptionist. Vocational Training: USP Sandy does not offer any vocational training aside from its advanced occupational education programs. Apprenticeship: USP Big Sandy does not offer any apprenticeship programs. Library Services: A law library and leisure library are both available for inmates at USP Big Sandy and the camp. The leisure library offers magazines, newspapers, fiction, nonfiction, and reference books. The law library provides inmates with access to legal materials and an opportunity to prepare legal documents. UNICOR: The USP Big Sandy UNICOR facility produces clothing and textiles. The USP Big Sandy satellite camp does not have a UNICOR facility. Commissary: Inmates are permitted to spend up to $90.00 per week with a total of $360.00 per month. The following items are available by special purchase order (SPO) and excluded from the spending limitation: Nicotine Replacement Therapy (NRT) patches and Kosher/Halal shelf stable entrees. Recreation Services: USP Big Sandy offers indoor and outdoor activities. A gym with various sports and intramural programs are available to inmates. A hobbycraft program with classes in the arts and table games are offered.